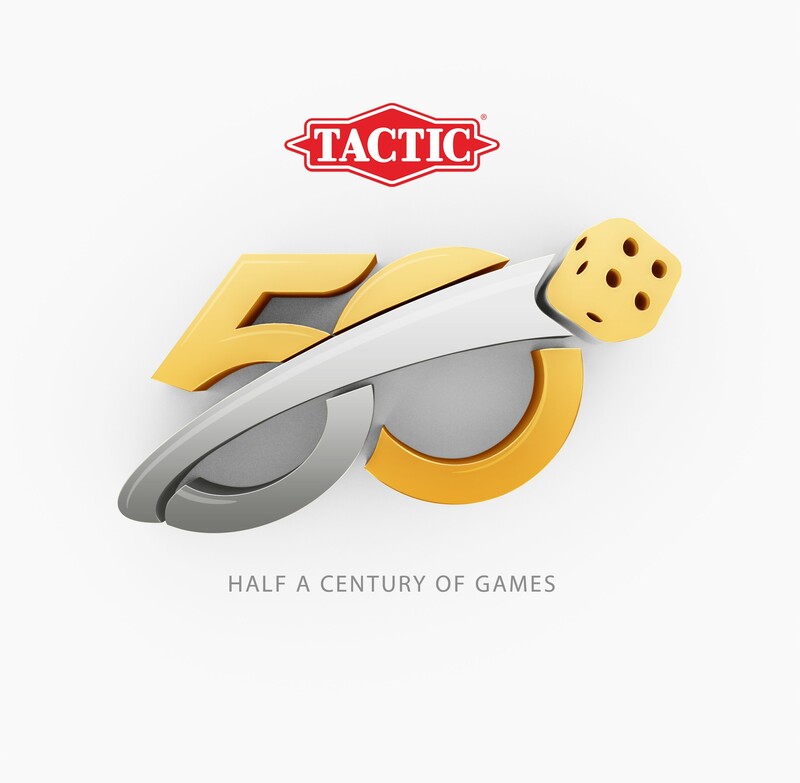 Grantsville, MD – (April 10, 2017) – For the past 50 years Tactic Games has been providing consumers with innovative, high-quality games that have been warmly received by the public, as evidenced by the successful longevity of products such as Mölkky®, iKNOW® and Alias. 2017 marks the 50th year that the company continues on its mission to produce entertaining games that offer moments of genuine delight and entertainment to family and friends. Today Tactic Group is one of the strongest, most productive and fastest growing designers, marketers and manufacturers of board and outdoor games in Europe. The company is proud to be the market leader in Scandinavia, and sell its products in over 70 countries around the world. The company’s roots and board game factory are located in a Finnish town called Pori, where they manufacture close to five million board games a year. This year, Tactic celebrates by offering more games and increasing its biggest offering of products to the world. Led by the new family word game, Tactic releases Word Rush (MSRP $19.99 for ages 8+), a new game of quick thinking words and categories. In its Preschool Game collection, Tactic takes a classic tale and brings it to life in a fun new way. Three Little Pigs Game (MSRP $19.99 for ages 4+) includes standee houses and a soft and squeezable Big, Bad Wolf that actually huffs and puffs the pig’s houses down! Other new games this year include the crime solving cooperative game, We Detectives (MSRP $19.99 for ages 7+); Emojito, ($19.99 for ages 8+) a fun, guess the expression game; as well as new addition to the iKNOW game series with iKNOW Junior (MSRP $19.99 for ages 5+) and additions to the phenomenally successful, Alias game brand (over 5 million units sold), with Junior Party Alias (MSRP $19.99 for ages 5+) and a new Alias Anniversary Edition. Tactic has an Alias for everyone. The new versions join Alias Original (7+), Family Alias (7+), Party Alias (teens and adults), Junior Alias (5+), Dice Alias (7+), Women for Men Alias (15+), Travel Junior Alias and Travel Party Alias. About Tactic Games: Tactic Group® is an international and fast growing developer and marketer of board games in Europe, now launching in the U.S. and Canada. For the past 50 years, the Finnish board game company has provided consumers with innovative, high-quality products that have been warmly received by the public, including award-winning Mölkky®, Alias and iKNOW®. Their mission is to produce entertaining games that offer moments of genuine delight and entertainment to family and friends the world over. To discover more about Tactic’s wide range of games, visit www.tactic.net/USA and get all of the most up-to-date, immediate information by interacting with the company on its social media channels: Facebook, Twitter, Pinterest, Instagram and YouTube.